I love watching and tending my plants in my garden perhaps more than I enjoy eating them. 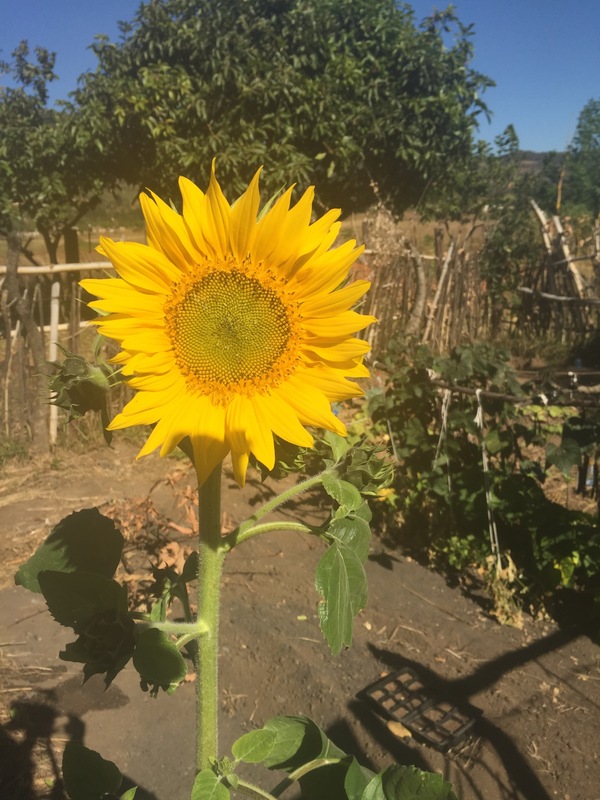 Watching this sunflower has been very exciting as it grew so tall so fast. It opened its flowers to the world this week, and then I forgot to share it yesterday. My sunflower, with trellised beans behind. This entry was posted in Africa, Peace Corps, Swaziland, Wednesday photo and tagged Africa, Garden, Peace Corps, Peace Corps Volunteer, Permagarden, Swaziland. Bookmark the permalink. Your grandfather was impressed, Alison. You have his green thumb!! !